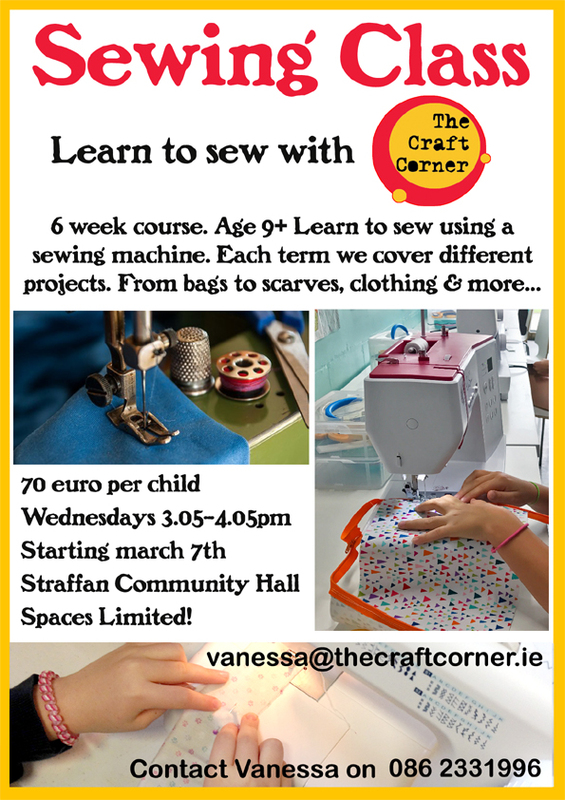 There is just one space left in our Straffan Sewing Class. Learn to machine sew with our 6 week sewing course, open to students age 9 and upwards. Learning to sew is a valuable life skill, and one you will use for all your life. We will be making lavender hearts, organisers, learning to up cycle our clothes and more. We learn the basics of using the sewing machine, how to stitch and finish off hems. We look at how to create simple patterns and make handles and embellish fabrics.